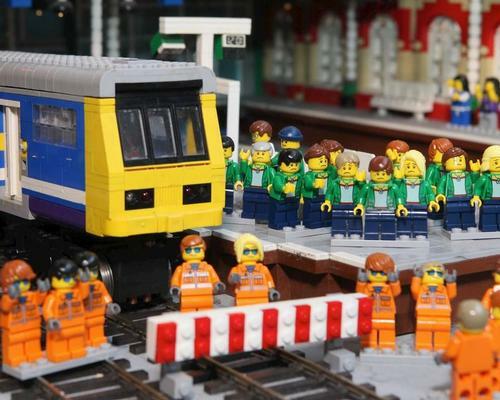 Britain's rail network is currently in such a state, that even its Lego alternative has cancelled its services. A statement to operator Northern Rail, the Legoland Discovery Centre in Manchester has echoed the British public's frustration over recent timetable changes by publicly removing the trains from its Mini Land attraction. In the north of England, more than 2,000 trains have been cancelled completely, with a further 2,000 "part cancelled". Hundreds of trains have also had the number of carriages reduced with a new timetable causing chaos on the lines. According to the Merlin-run attraction, 29 per cent of its visitors live in affected areas including Stockport, Warrington, Liverpool, Stoke-on-Trent, Bolton and Wigan. Over the last 8 weeks, footfall from some of those areas has decreased by half, says the operator. “The shift in visitor patterns marries with the Northern Rail change to timetables and surge of cancellations and delays.” said Jenn McDonough, general manager for Merlin's Manchester cluster. “The suggestion from staff that the Northern train should be removed from the attraction, we feel, reflects events from the region. “As a Northern business, we depend on visitors from neighbouring areas, and I know we’re not alone. Northern Rail’s ongoing problems are such that it’s impacting on business." The blue and purple train was built by Alex Bidolak, a Lego master model builder. Bidolak created the entire Mini Land, which is a miniature version of Manchester and features more than 15,500 bricks.